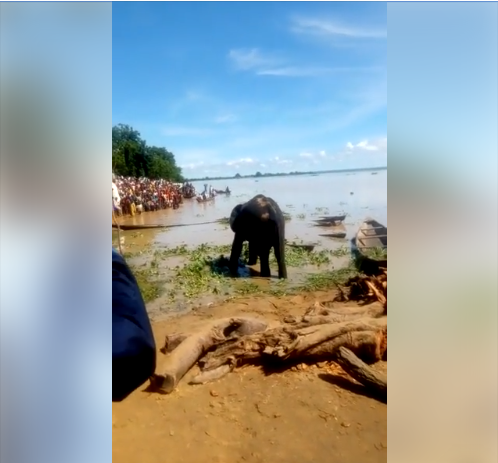 Villagers gathered in their numbers after three elephants were spotted yesterday in Koko Besse local government area, Kebbi state. The animals would have been killed had the villagers not been previously warned by the Kebbi state governor, Atiku Bagudu. An ‪elephant was caught last year in Kebbi before it was killed and butchered by the villagers. The host community and hunters trooped to the Kebbi State Government House with great pride to present Governor Abubakar Atiku Bagudu with the slaughtered elephant’s Tusks. 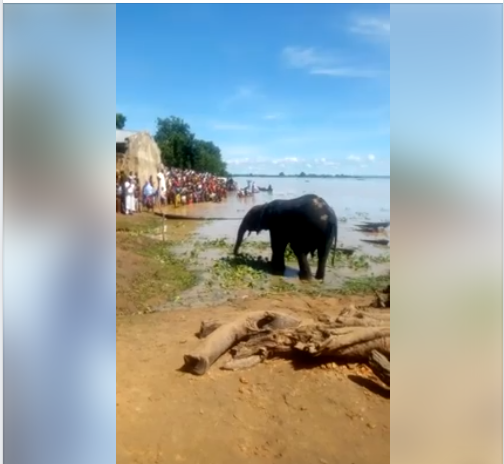 To them, they had successfully defended their territory from a single invading elephant. Instead of the accolades the expected, they received a lifetimes worth of telling off and an educational lecture- interspersed with threats of imprisonment. Yesterday, after the three elephants were spotted, the Koko LG authorities assisted by security forces in the area successfully mobilized the community, secured the animals and kept them away from the usual threats from hunters – in order to avoid the wrath of the governor. 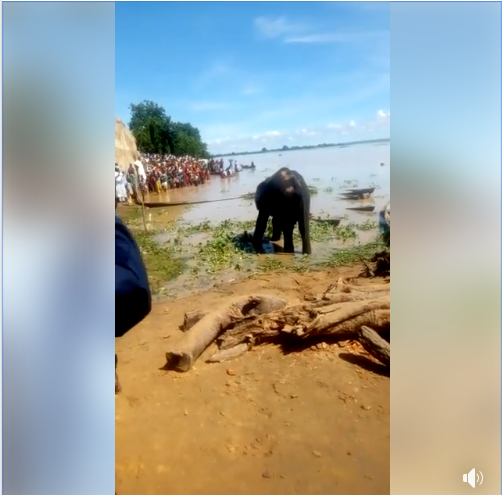 0 Response to "Villagers Gathered In Their Numbers After Three Elephants Were Spotted In Kebbi (Video, Photos)"